John Fischer oversees Accion’s investment vehicles, including equity investments in microfinance institutions (MFIs) made through its Gateway Fund; its Bridge Fund loan guarantees; and seed- and early- stage investments, respectively, through Accion’s Venture Lab and Frontier Investments and initiatives. Mr. Fischer joined Accion in August 2000 as an investment professional working with the Accion Latin American Bridge Fund, a loan guarantee fund for microfinance institutions in Latin America and the Caribbean and the Accion Gateway Fund, an equity investment fund for microfinance institutions worldwide. In 2002, Mr. Fischer helped develop a $20 million private equity fund for microfinance institutions worldwide, Accion Investments in Microfinance, SPC, and in 2007, Mr. Fischer led the successful $30 million capital raise for Accion Investments, incorporating new private investors to the fund. In these roles, Mr. Fischer has served on the boards of directors and key committees of leading microfinance institutions worldwide such as Mibanco Banco de la Microempresa (Peru), Banco Solidario (Ecuador), Banco Popular Covelo (Honduras), Sociedad de Ahorro y Credito Integral (El Salvador), Akiba Commercial Bank (Tanzania), Pan-African Savings and Loans (Ghana), and Accion Microfinance Bank (Nigeria). Mr. Fischer led successful purchases and recapitalizations of Banco Popular Covelo (Honduras) and Akiba Commercial Bank (Tanzania). 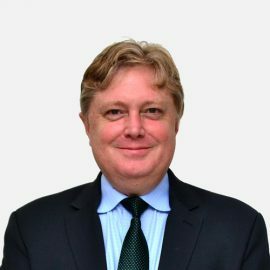 He has also been responsible for investment due diligence, negotiation, and monitoring for Accion Investments, and serves as Accion Investments' own chief financial officer and company secretary. Mr. Fischer has been trained in Accion's CAMEL diagnostic tool, used to evaluate and rate microfinance institutions worldwide. Mr. Fischer holds a Bachelor of Arts degree from Haverford College and Masters of business administration and international relations from Boston University.